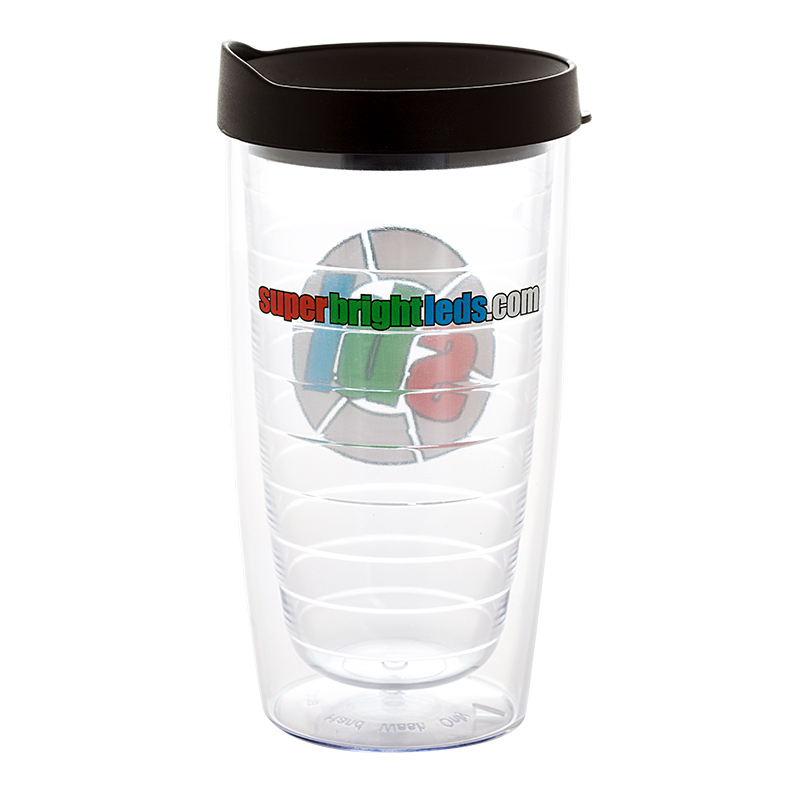 This tumbler is rated for 16 ounces of fluid and operates within a wide range of cold and hot. The insulated cup is sweat-proof and is constructed of durable plastic. An included lid prevents spills. Use this cup for soda, orange juice, beer, coffee, eggnog, and other beverages! 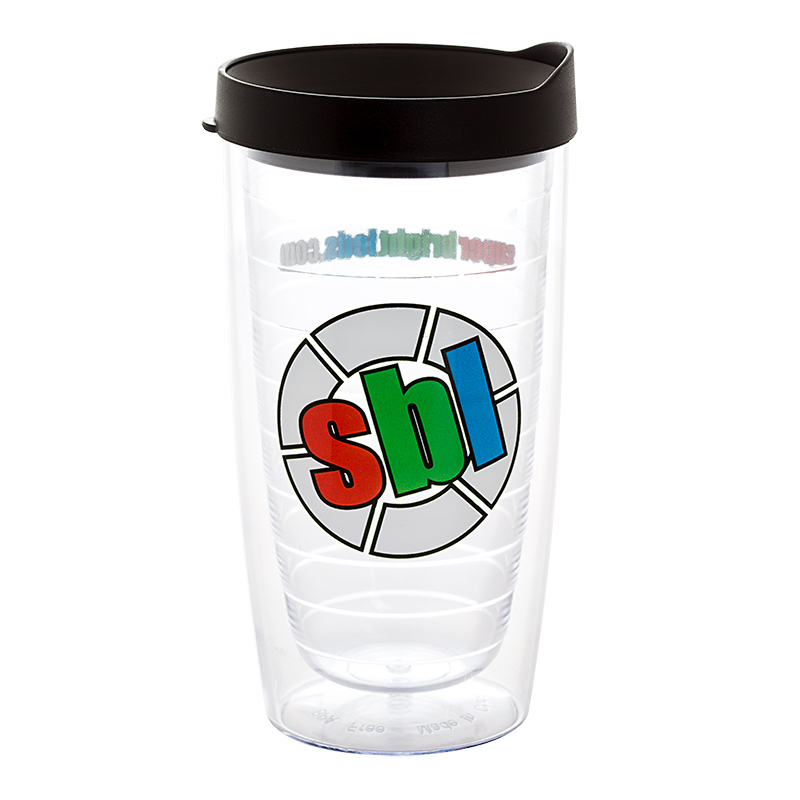 The shatterproof tumbler features both compact and full website SBL logos.